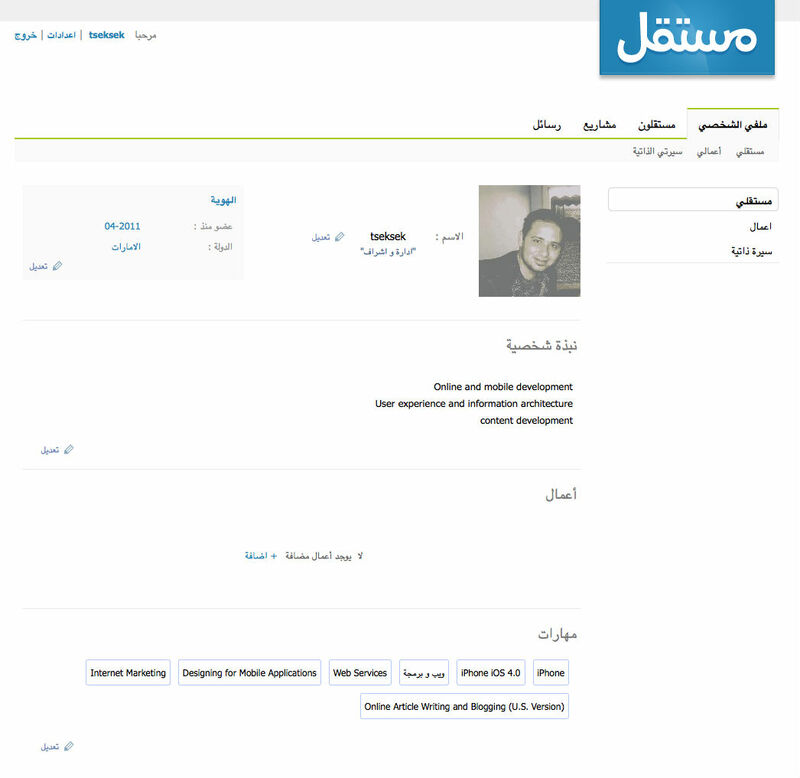 A while back we mentioned a new startup from Jordan called Mustaqil.com an online portal for freelancers purely in Arabic. It seems now that the site has launched not sure if it is in Beta stage or not, however users are slowly signing up. I have checked the site and there are currently two jobs posted. The interface is really easy to use and there are some interesting features on the portal. Once you create an account you will be able edit your information and add all your jobs as well as your skills, be sure to enter your skills since these will be used as tags/filters by other users to search for the appropriate person/job. 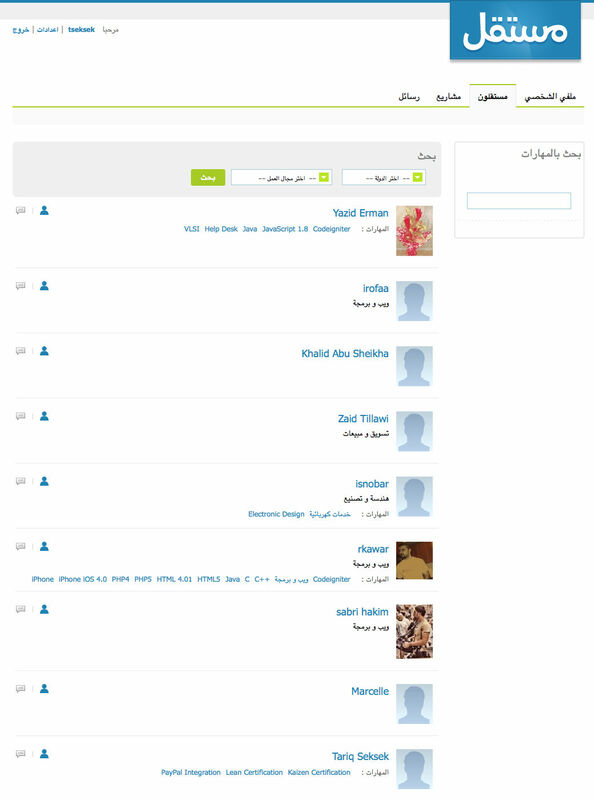 Moving on we have the other users registered on the site you can get in touch with or share their information directly from the listing page. The jobs listing page is very easy to navigate you have all the jobs listed, and then you can navigate through your personal jobs or jobs you would like to be involved in from the sidebar links. 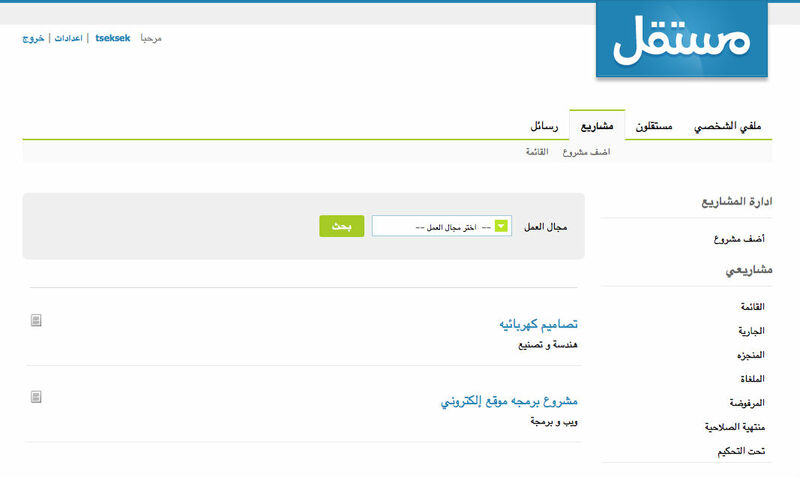 You can also add a job within minutes all you have to do is fill in the fields and you’re good to go, the Yamli option can help for those who don’t have arabic keyboards installed! Now I have been hearing of a number of such websites popping up in Arabic in the region and it would be interesting to see how mustaqil will fair with acquiring new registrants, it is very cluttered online and we’ll have to wait and see how they plan on sticking out of the crowd.